Sharing information in oil and gas industry. Britain will ban sales of new gasoline and diesel cars starting in 2040 as part of a bid to clean up the country's air. The decision to phase out the internal combustion engine heralds a new era of low-emission technologies with major implications for the auto industry, society and the environment. "We can't carry on with diesel and petrol cars," U.K. environment secretary Michael Gove told the BBC on Wednesday. "There is no alternative to embracing new technology." Almost 2.7 million new cars were registered in the U.K. in 2016, making it the second biggest market in Europe after Germany. Meeting the 2040 deadline will be a heavy lift. British demand for electric and fuel cell cars, as well as plug-in hybrids, grew 40% in 2015, but they only accounted for less than 3% of the market. Still, experts say sales of clean cars are likely to continue on their dramatic upward trajectory. "Ending diesel and petrol car sales by 2040 is a step in the right direction but given that electric cars are coming anyway this is probably pretty irrelevant. It's a bit like saying we're banning the sale of steam engines by 2040," said David Bailey, a professor of industrial strategy at Aston Business School. The car industry says that demand for electric vehicles will only reach a tipping point once they're cheaper to own than conventional vehicles. "Much depends on the cost of these new technologies and how willing consumers are to adopt battery, plug-in hybrid and hydrogen cars," said Mike Hawes, CEO of the Society of Motor Manufacturers and Traders. "Consumers have concerns over affordability, range and charging points." The deadline was announced by the government on Wednesday as part of a plan to reduce air pollution. The blueprint highlighted roughly £1.4 billion ($1.8 billion) in government investment designed to help ensure that every vehicle on the road in Britain produces zero emissions by 2050. Gove said action was needed because gasoline and diesel engines contribute to health problems, "accelerate climate change, do damage to the planet and the next generation." 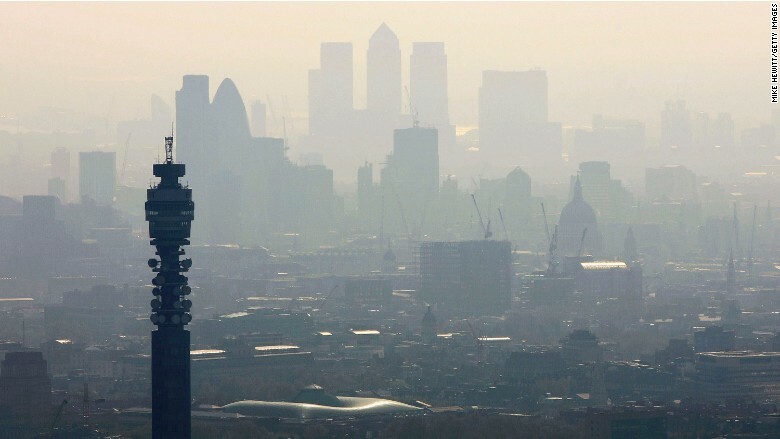 Roughly 40,000 deaths in Britain each year are attributable to outdoor air pollution, according to a study published last year by the Royal College of Physicians. Dirty air has been linked to cancer, asthma, stroke and heart disease, among other health issues. The problem is especially pronounced in big cities. London surpassed the European Union's annual limit for nitrogen dioxide exposure just five days into the new year, according to King's College. The university estimates that air pollution is responsible for 9,400 premature deaths in the city every year. The timeline for ending sales of internal combustion engines mirrors one proposed in early July by France. President Emmanuel Macron has given the auto industry the same deadline to make the switch to cleaner tech. "We are quite rightly in a position of global leadership when it comes to shaping new technology," Gove said. But the auto industry, which supports over 800,000 jobs in the U.K., is wary of hard deadlines. Andy Palmer, CEO of British luxury automaker Aston Martin, said that ditching conventional engines will require much more planning and investment. "To make a moonshot work, you need to have a NASA," he told CNNMoney. "If you don't want to export jobs out of the U.K., you need to create that capability and that infrastructure ... we're a long, long way from having that capability today." Other countries have been even more ambitious than the U.K. India is planning to stop selling gas-powered vehicles by 2030. The German car industry and government officials will meet in early August to discuss the future of diesel engine technology. Manufacturers are trying to avoid diesel cars being banned from German towns and cities. PETRONAS is looking at economic solutions to monetise Associated Gas (AG) from offshore flaring facilities which has neither existing gas utilisation nor evacuation infrastructure. The objective is to beneficially utilize the hydrocarbon resource and reduce the carbon footprint and intensity. The platform for the Ophir development off Malaysia is set to commence its journey to the field from the Muhibbah Engineering yard at Port Klang. Project co-owner Octanex revealed Monday the jacket and topsides had been loaded out onto transport barges and would be transported to the field shortly. Upon arrival, the 350-tonne platform will be installed by Dutch company SPT Offshore which has been subcontracted by Muhibbah for the transport and installation of the platform. The Ophir field is being developed via three production wells, a well head platform and a floating production, storage and offloading vessel. 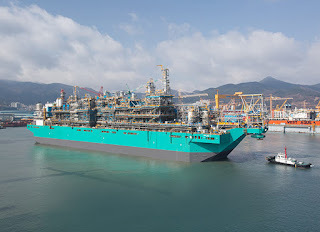 It was reported last month Malaysian contractor MTC Engineerig had bought an oil tanker - Puteri Bangsa - for conversion into the MTC Ledang FPSO which will be used at the field. Output at the $90 million Ophir development is expected in the second half of the year. The Ophir oilfield is being developed under a risk service contract. The co-owners are Octanex (50%), along with Malaysian companies Scomi Energy (30%) and Vestigo Petroleum (20%). Can Triple Offset Butterfly valve used as isolation application? Many engineers are not aware Triple Offset Butterfly valve can be used as isolation valve, and it benefit in term of saving in weight, space and most importantly, cost. Triple offset valves provide an efficient solution for critical and non-critical applications when positive isolation is required in upstream oil and gas operations. Their compact nature offers savings in weight and space and most importantly, cost. Most onshore and offshore installations traditionally use ball valves and occasionally gate valves for the majority of flow isolation applications. Specifications typically call for 6D valves, but engineers seldom look beyond these specifications to other valve types with similar or better performance. Many of these engineers are not yet aware that in many offshore isolation applications, a triple offset valve (TOV) offers benefits in terms of weight, overall dimensions and performance versus the standard ball or gate valve. 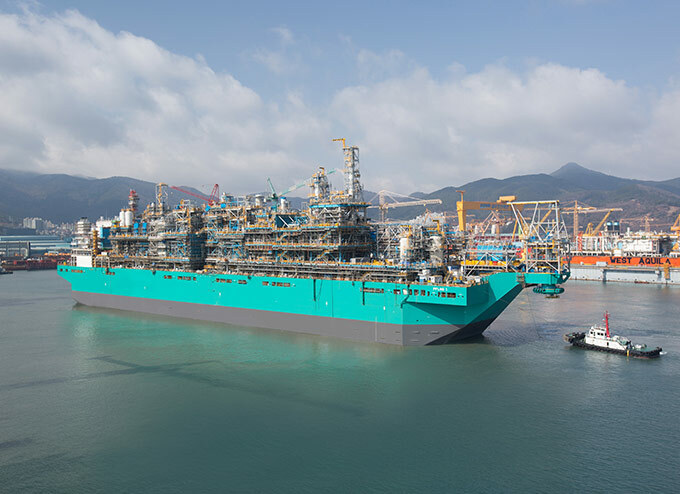 A TOV can be the right choice for applications in the turret of a floating production storage and offloading vessel (FPSO), and in virtually all topside process applications of FPSOs and platforms such as separators, water treatment, gas compression and other systems. Today’s TOVs, with pressure ratings up to ASME Class 1500 and zero leakage, cover enough applications to achieve significant savings in weight and space, as well as total cost of ownership. With the low oil price environment dampening project sentiment. Sharing a bit of my experience and information in this blog.